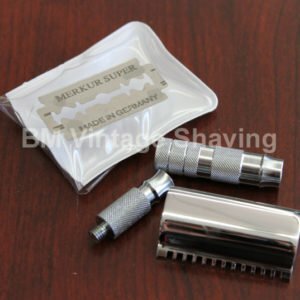 Merkur’s patented fine adjustment system will give you optimum results. 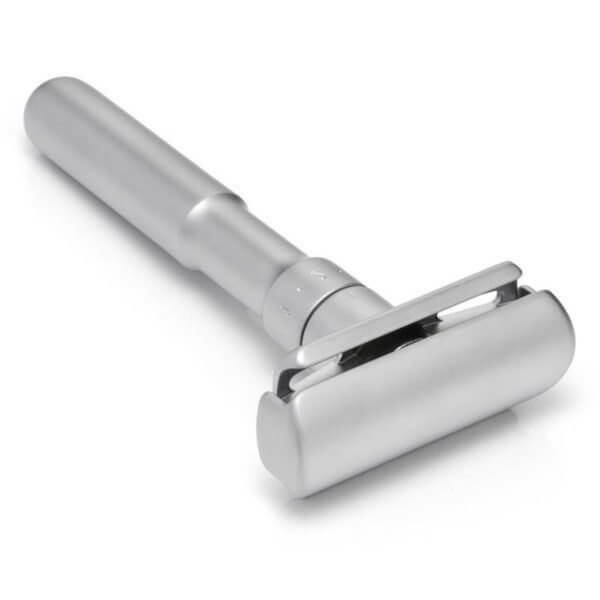 The Merkur Futur safety razor manages to combine revolutionary craftsmanship and performance in a design that retains the understated dignity of Old World shaving. 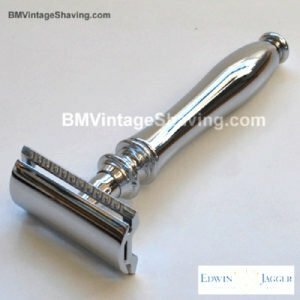 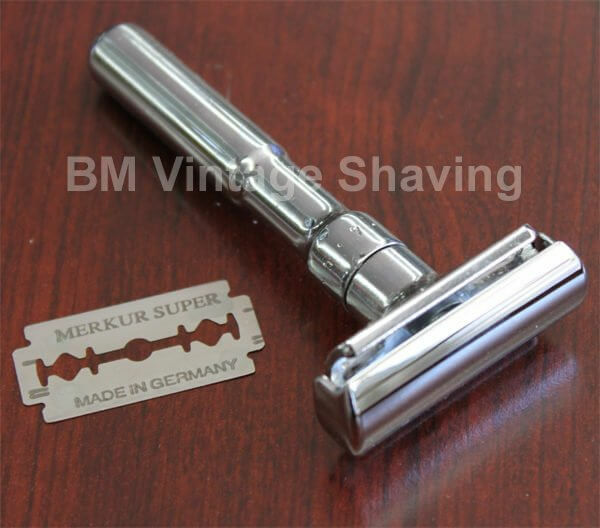 Merkur Futur is an Adjustable Double Edge Safety Razor, chrome plated, with a polished finish. 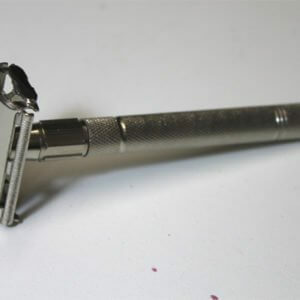 Merkur’s patented fine adjustment system will give you optimum results. 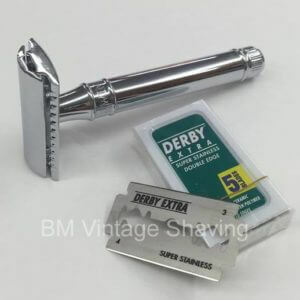 For use with double edge razor blades. 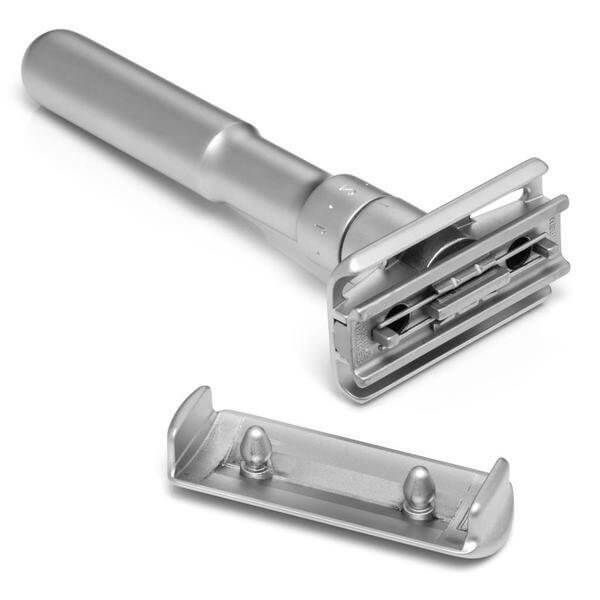 This Futur safety Razor comes packaged in a handsome gift box with 10 free Merkur Platinum Double Edges Razor blades.